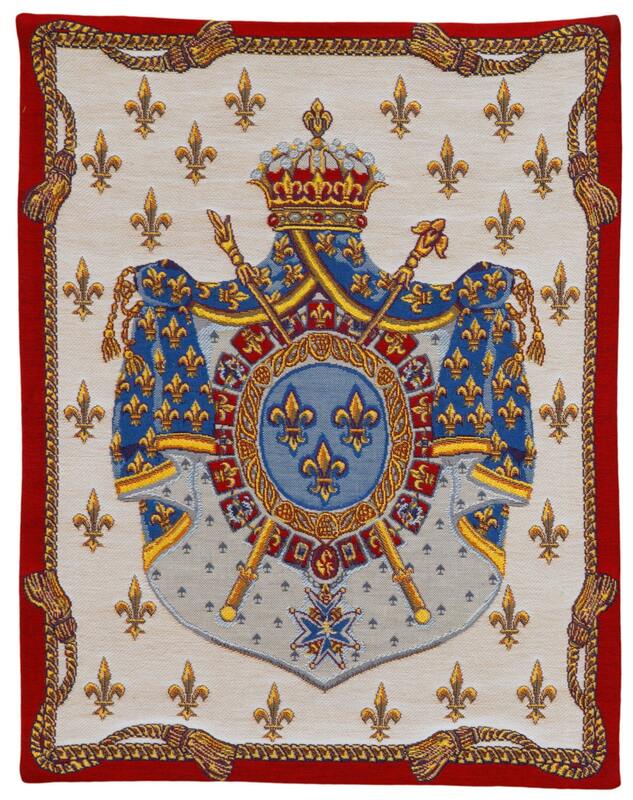 This Museum Collection wall tapestry shows a French Coat of Arms with a Fleur de Lis background. Just received my tapestry and I am so pleased with it. Quality is great, colors are vibrant, very excited to give this gift for Christmas. Thank You for such a lovely item! Very nice tapestry. We loved the fast shipping.